Mayo Clinic Sports Medicine offers state-of-the-art sports medicine and sports training facilities in Rochester and in Minneapolis, Minnesota. We meet the needs of all athletes and individuals, from elite and professional to weekend warriors and youth who are looking to improve performance and prevent injury, to those looking for rehab and relief for joint and muscle pain. You do not need to be an existing Mayo Clinic patient. Mon. — Thu. 6:00 a.m. — 7:00 p.m.
Fri. 6:00 a.m. — 5:00 p.m. Sat. 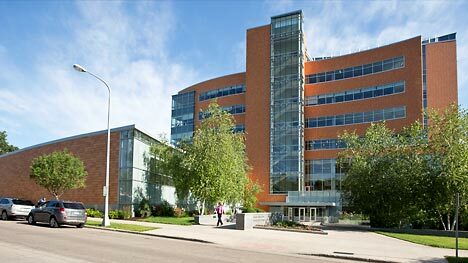 8:00 a.m. — 12:00 p.m.
Mayo Clinic Sports Medicine is located on the third floor of the Dan Abraham Healthy Living Center in Rochester, MN. 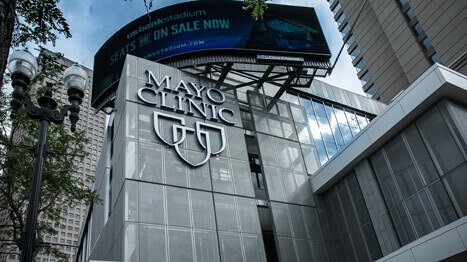 Mayo Clinic Sports Medicine is located on the third floor at Mayo Clinic Square in downtown Minneapolis, MN. For parking options at or around Mayo Clinic Square, click here.